Entity type code for custom entities may be different across environments. Sometime you may need to work out the entity name from an entity type code, for example when CRM throws an error message at you. 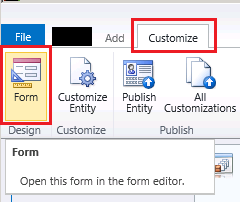 Notice the URL of the form editor. This URL has an etc query string parameter. This is the entity type code for the entity. The above steps are for CRM 2011 but should also work for later versions of CRM. This method works best when you have some gut feels of which entity a given code may be for, and of course if you can access a record of the suspecting entity. There are other methods of retrieving entity type codes, such as querying the CRM database, or invoking the RetrieveAllEntitiesRequest against the web service. These other methods however may not be available to you, particularly in environments that are higher than DEV.